Congratulations for bringing back the original cast from all of the films. That was fantastic! So, we into this chapter with a mix of fog and shadows where a troop of raiders has captured a number of dragons. What happened after that can only be called organized chaos! 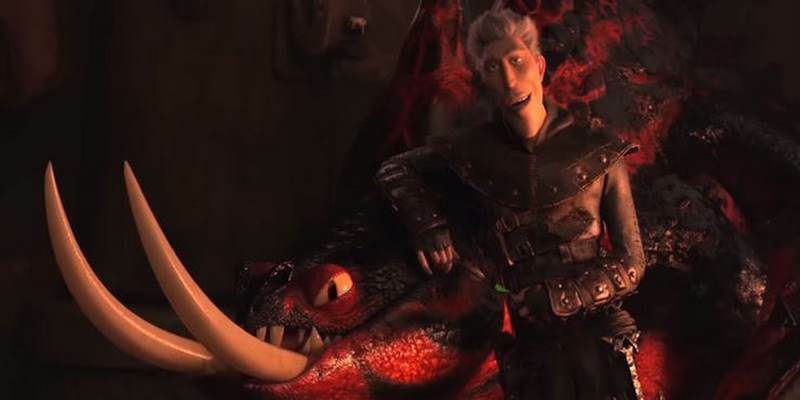 Hiccup (played wonderfully by Jay Baruchel) and his band appear out of the fog and shadows, however, what should have been an impressive attack for the purpose of freeing the dragons became something of three stooges whipped cream pie fight. The goal is eventually accomplished, and the dragons are set free to return to Berk. Now Berk has become a haven for dragons, a safe place where they can all reside without the fear of being attacked. Of course, if the story ended there we would have one hell of a boring story! Bring in the antagonist! This is an individual named Grimmel, played by F. Murray Abrams. He is a longtime dragon hunter and dragon killer and he’s got it out for the last night fury! Hiccup has other problems to worry about though, as he is the new chief of his town! 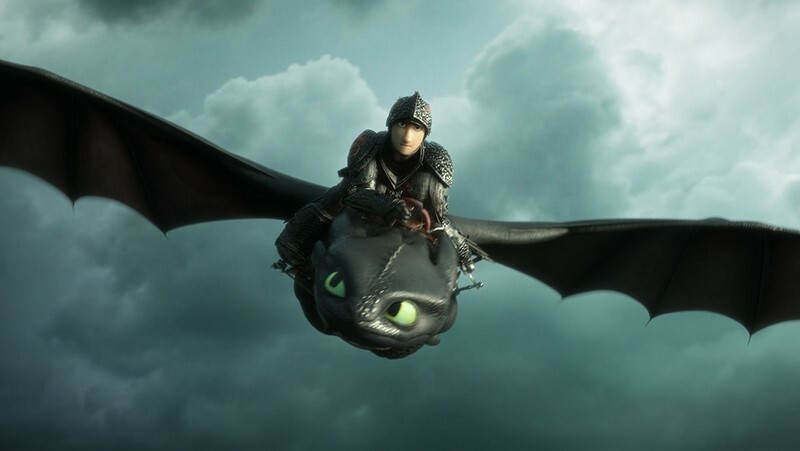 The big push for this film is that Hiccup wants to try to find a place for the dragons where they will always be safe, safe from raiders and those who would look to make them extinct. Grimmel has a singular focus and that is to remove dragons from this world. He believes that this is his calling and he will do anything to fulfill it. He joins up with the dragon raiders and they pay him to take out the Night Fury as well as all the dragons that are being held in Berk. most of the film is centered on trying to find this one location with a drink will be safe and relocating the town. Also as the film unfolds you begin to see his team come together. The amount of effort that went into this film’s computer graphics is nothing short of absolutely amazing! They brought in a whole new set of textures into this film! Everything from clothing fibers to pair to dragon scales was done with the most expert precision! In addition to this, the story is well thought out, appealing both to adults and children. I like that we see maturity in both Hiccup and Toothless. Now, this brings up an interesting aspect, as they bring in a whole new dragon call the Light Fury. This would be the female counterpart to toothless which is a major catalyst in this storyline. I don’t want to go on too much for fear of giving up too much of the story however what I can say is definitely go see this film I think you’ll be very impressed with the graphics, the storyline, and the bringing of all the former cast together as well as the overall production of this film! I highly, highly recommended!